I want repositionable vise. 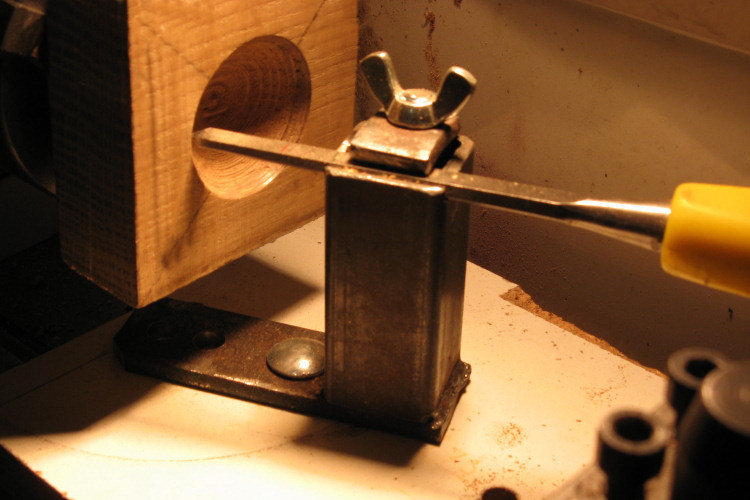 Instead of buying it I decide to modify small table vise from my grandfather. 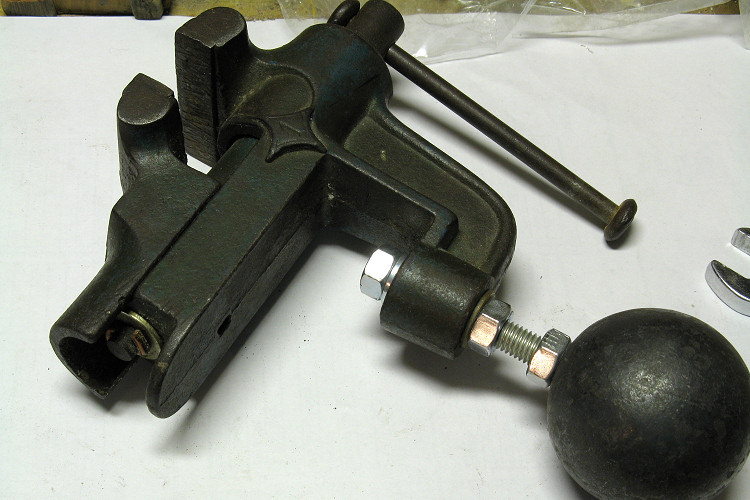 For modification I used iron ball, threaded rod, som screws, nuts and piece of the hard wood. 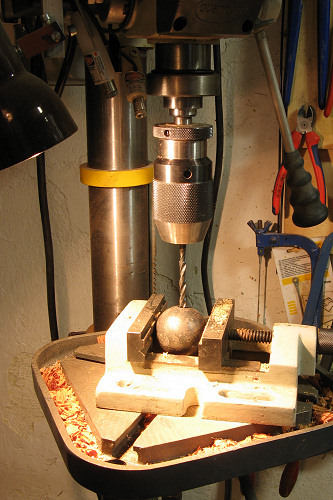 The iron ball was drilled and in the hole the thread was cuted. The ball is intermediate product from a smith. From the wood I made two blocks. A spherical surface was turned into them. The blocks were joined using screws. 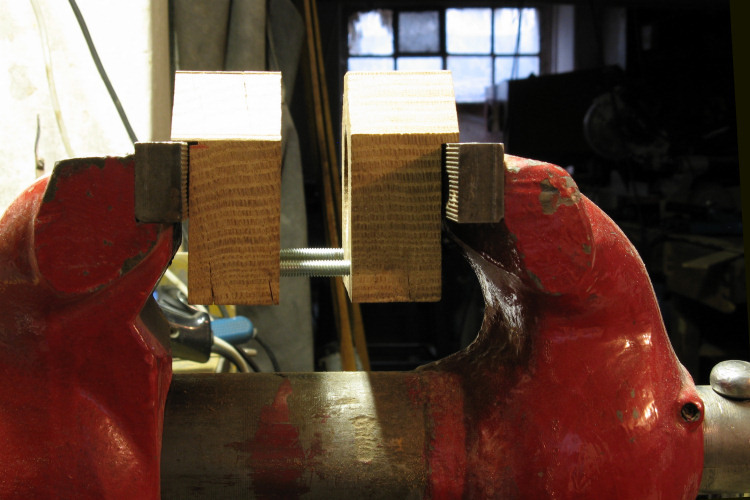 The blocks rest on the mortise. Corners of the block was rounded. 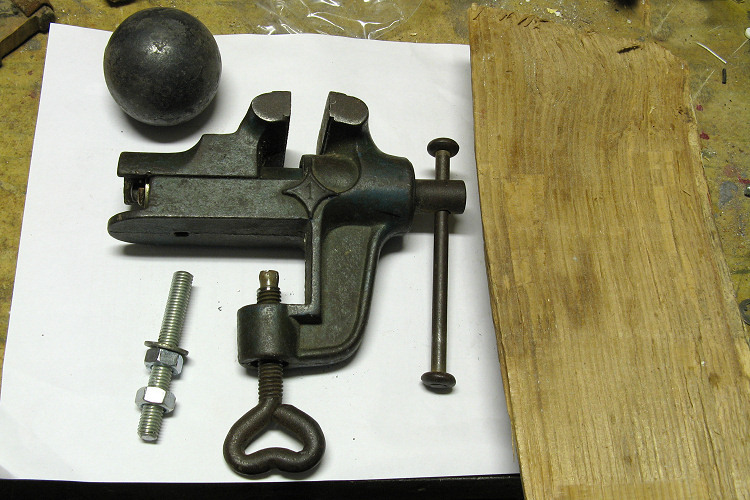 Holding screw was removed and replaced by threaded rod, which keeps the ball and the vise together. Two blocks are kept together by two screws. 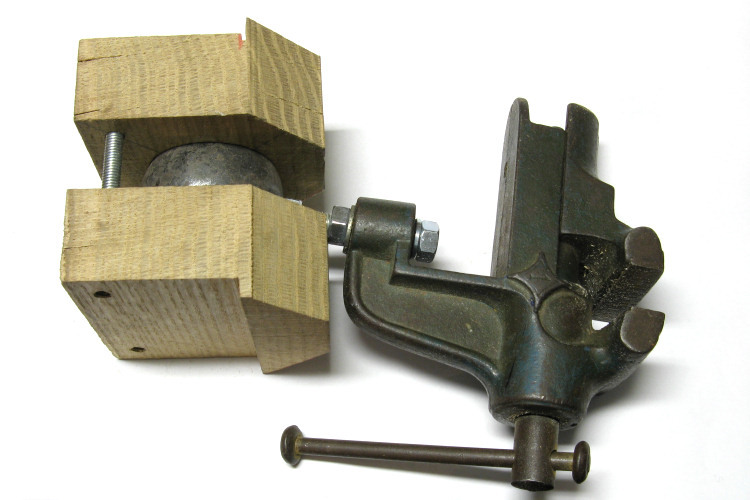 The multiangle vise is placed into the bench vise, which keeps it and makes the locking force.